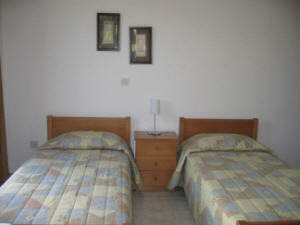 The villa have two bedrooms with there own air-condition, WC, basin & shower and a bath in the master bedroom. 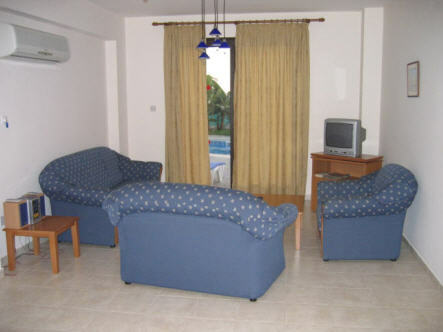 They have a lounge and dining area with a TV. 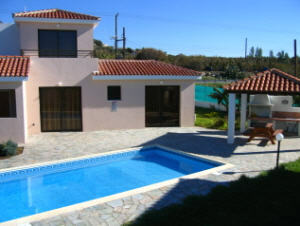 and CD player. 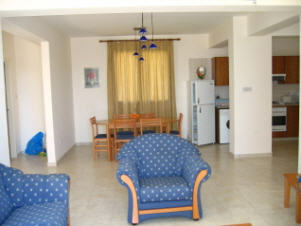 There kitchen has a washing machine, a dish washer, a cooker/oven, a microwave and all the necessary kitchenware. 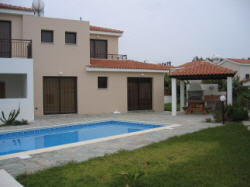 Outside they have garden with swimming pool, kiosk and covered garage. 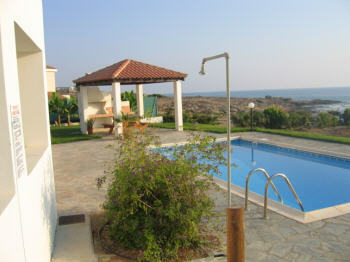 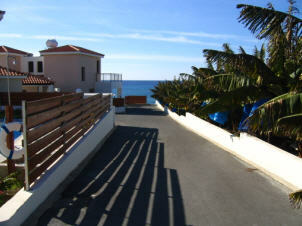 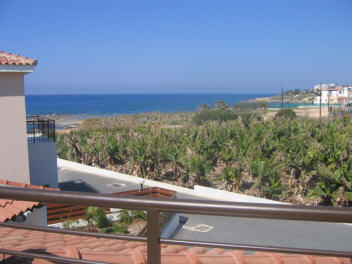 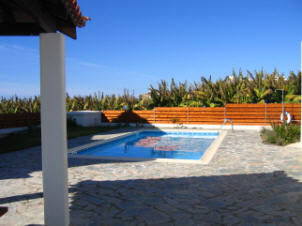 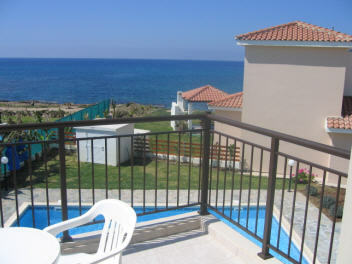 Five waves villas for rent in Paphos with private swimming poll and garden near the beach.